Buy now on CodeCanyon ! If you are curious for news about WebKit, feel free to check out these blogs : WebKitbits and 9-Bits by David Kaneda. 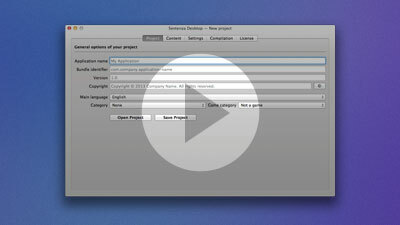 With Sentenza Desktop you can build standalone web applications for Mac OS X (from Snow Leopard to Yosemite) and deploy them on the Mac App Store or sell them in your own ways. in English, French, German, Italian and Spanish ! 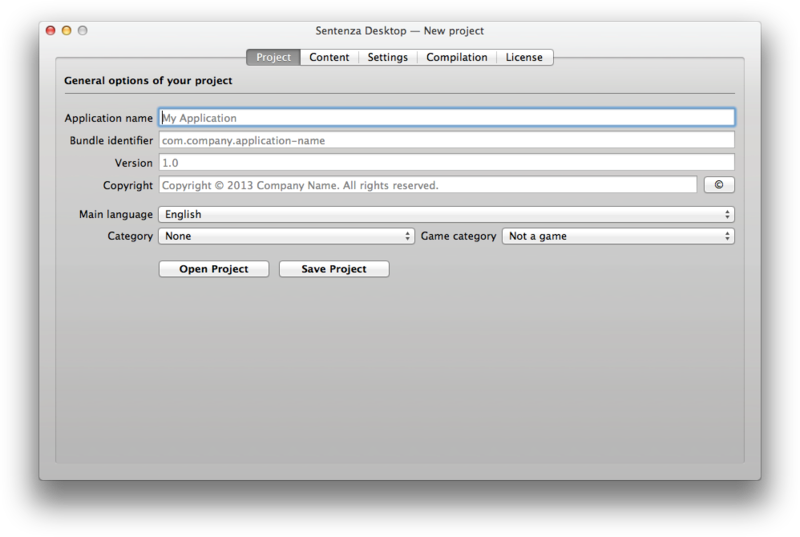 With Sentenza Desktop you can codesign your application without using any external tools. You will have the choice to compile a .pkg package (for Application Loader submission) or a .xcarchive package (for XCode submission). An Apple Developer Account is required to publish your applications on the Mac App Store. Building applications for the Mac App Store is an easy way to make money. The community is massive and the Mac App Store is an incredible marketing tool, ready for promoting all types of applications (games, utilities, references, books, lifestyle, music, video, ...). Below is the list of all available APIs in the latest version. If you have suggestions for future APIs, feel free to contact me. I will make my possible to add them to the next version. For more informations about APIs usage, consult the online help and documentation. Get a trial version to test Sentenza Desktop. Get it now via CodeCanyon $30 ! Lifetime license, free updates, no monthly fees ! Copyright © Sentenza 2009-2014. All rights reserved.